I seldom, almost never, wear a long skirt. And I just found that I own one and why not trying out? Love how my outfit turned out to be a long dress. 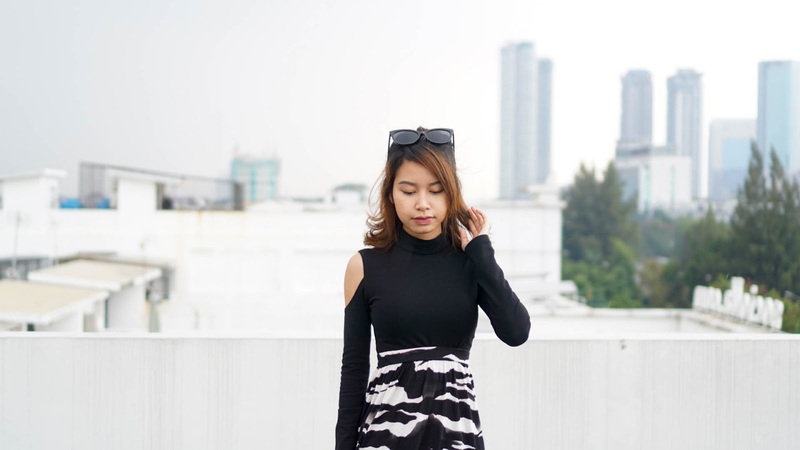 A combination between black crop top and zebra print skirt will give an overall look of welcoming early Fall. This is such a modern monochromatic look!